For the winners in all categories. 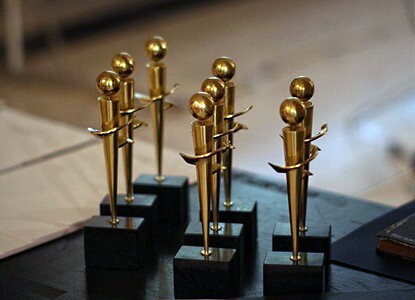 All the winners will be granted with covering the participation expenses in Computer Space (travel and accommodation, according to CS rules) and invited to present their projects during the festival part. Statuettes will be given to special prizes as well. 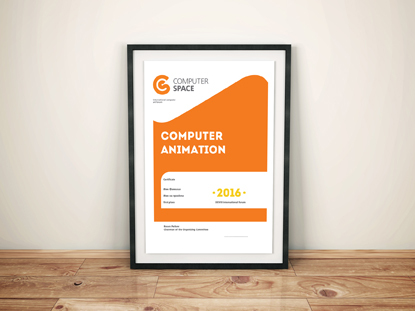 This is the traditional statuette of Computer Space. А symbol of professionalism and quality in new media and computer arts, the statuettes are created by Ivo Arnaudov and sponsored by Student Computer Art Society. For the participants, awarded with 2nd and 3rd place in the competition. 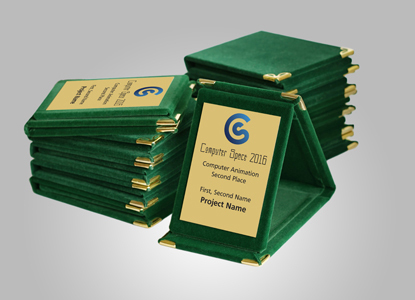 The awarded projects may be granted with covering the participation expenses in Computer Space (travel and accommodation, according to CS rules) and invited to present their projects during the festival part.From Student Computer Art Society. For all nominated projects (4th and 5th place). For each category there will be audience voting (different from jury voting). The project in the category, accumulated the biggest number of votes, will receive Computer Space certificate. Sofia Municipality will provide special prizes for debut/youth projects. There will be 3 prizes (tablets, smartphones etc.) for young people (under 23 years old) who have participated for the first time in Computer Space. Additional prizes from sponsors and partners will be given.